Study Abroad in the Galapagos! Faculty-led study abroad courses offer a unique way to explore a new country or city while completing your class. Experienced HRSM professors will guide you along custom-built trips designed to bring curriculum to life on a national and global scale. Experience “Sport in Spain” to learn how Spanish culture influences managing the business of sport. Madrid is a vibrant world capital with many cultural and sport opportunities. It’s a major hub for the business of sport within Europe. Barcelona is more laid-back, with its beaches, culinary specialties, stadiums and world-famous cultural sites. Experience “Baseball in Japan” to learn how Japanese culture impacts professional baseball and Japan’s top league, Nippon Professional Baseball. Tours, lectures, and attendance at games will be used to illustrate course content and principles. Tokyo is Japan’s busy capital and home to more than 9.2 million people. The city mixes the ultra-modern and traditional with its neon lights and historic temples. The city is home to 5 of Nippon Professional Baseball’s 12 teams. Attend Tokyo area NPB games. Teams may include the Yomiuri Giants, Yakult Swallows, Seibu Lions, Chiba Lotte Marines, and Yokohama Bay Stars. The final schedule will be determined once the 2019 schedule is released. Please complete your application with the Study Abroad office prior to February 28, 2019. For more information about this tour, contact Dr. Tom Regan or Dr. Nick Watanabe. Spend a week during Maymester touring two major cities in our industry. Learn about mega events, family shows, and touring properties. Tour the studios of Feld Entertainment in Tampa, visit the Pyramids and watch a live Lucha Libre wrestling match in Mexico City and much, much more! This 7-day, three-credit excursion offers visits to Tampa, FL and Mexico City, Mexico! *Payments for this tour are non-refundable. Join us for an 11-day immersion in Luxury Management in Florence, Italy — epicenter of culture and birthplace to some of the world’s most prestigious brands. Take in the rich heritage and splendor of the iconic city that Michelangelo, Ferragamo, Pucci, and other notables called home, as you earn a certificate in Luxury Management from the prestigious Polimoda Institute. Led by Retailing and Hospitality faculty from the University of South Carolina, this unique program provides a life changing international experience as you study, first-hand, the business of Luxury from a cross-disciplinary view. And many more scheduled activities! 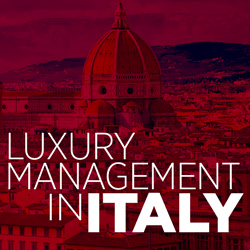 Participation in this course is an excellent introduction to the world of luxury brand management. In addition to the tour fee, you must register for RETL 592-02 or HRTM 590-03 for the Maymester/Summer 2019 Semester. Baggage fees, personal expenses such as laundry and gratuity, etc. Please complete your application with the Study Abroad office prior to February 8, 2019. Spend Maymester 2019 in the Czech Republic touring some of the region's most vibrant cities and cultures in this 11-day, 3-credit hour course! In addition to the tour fee*, you must purchase airfare and register for HRTM 565 for the Maymester 2019 semester. Airfare, tuition and fees are not covered by the tour fee. Please complete your application with the Study Abroad office prior to February 8, 2019. Discover first-hand one of the fashion and retail hubs of the world! 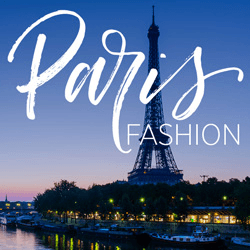 This trip to Paris, France, is a unique opportunity to observe and experience key international retailing and designer venues, as well as important museums, galleries, artistic venues, exhibitions, markets, and related businesses. Join us on this exciting journey, “From Runway to Hallway,” and see how apparel fashion influences home fashion and vice-versa! Day trip to Versailles and guided tour of the "Private Apartments of the Kings"
*The venues listed above are representative, and may be subject to change. *In addition to the tour fee, you must register for RETL 592M for the Maymester 2019 Semester. Tuition and fees are not covered by the tour cost. Please complete your application with the Study Abroad office prior to February 9, 2019. Tour fees are non-refundable. Tour cost is $4,425.00. *In addition to the tour fee, you must register for SPTE 570 for the Spring 2019 semester. Tuition and fees are not covered by the tour cost. Please complete your application with the Study Abroad office prior to December 1, 2018. Designed to promote the tourism experience of the Galápagos Islands (above and below the water) through the medium of photography. Students will learn basics of photography and photo editing as well as travel photography etiquette, such as how to approach people for photos. Students will leave the course with a sampling of photographs focused on travel, including landscapes and cityscapes, interiors/exteriors of religious buildings and other important historical/cultural sites, food and markets. *Additional fees apply; Must be scuba certified prior to program start date. Baseball is America’s game and the opportunity to visit U.S. venues in many American cities is your chance to experience this sport tradition. Tour at least 9 facilities, attend 12 games, and much more. Course Credit: This is a 3-credit hour course. HRSM and the Study Abroad Office offer many more opportunities to explore the world while receiving college credit, from university exchanges to semesters abroad. My SPTE 570 trip taught me so much about the differences between the sport and entertainment industry in Europe and the US. It’s not just a trip to learn about the class topic though — it’s a trip to experience the cultures of new countries with your classmates who become your close friends.